Celebrate your wedding in style and fashion with Luxe Nail & Spa Boutique’s top nail designs. The complete nail designs are now available at this one hip salon for brides. Wear fashion at its best with the classic colors, millennium shades and special mix of nail paints carefully applied by the most talented nail artists at Luxe Nail & Spa Boutique. Choose from a menu of services like Le Organique, Le Classic, Au Naturel and L'artistique. Get to try them right away and enjoy a month’s big big deals on nails. The newest nail salon has definitely arrived in town. Gloss NailSpa lets you try different shades and ornaments just for nails arts. 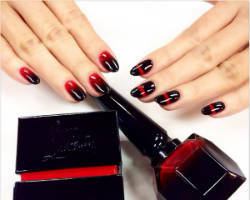 Now, you’ll have a blast with fashion and creating memories on parties, while wearing the nicest looking nails. 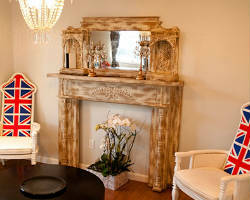 Gloss NailSpa is in fact a favorite choice for guests compared to other nail salons in Los Angeles. Prices range from as low as $3 to as high as $85. Dive into a new world of nail craze, shimmers, colors and all about nails, nails, nails at Gloss NailSpa. Add a new level of nail fashion for the whole entourage on the big day. Nail Service knows just the right thing for you, when it comes to applying Japanese 3D gels and custom-painted abstractions. Owner Emily Micelli situated its 2 stores at Little Tokyo and the Fashion district for the highest quality in organic and herbal spa treatments, you can’t be without. Get more in love at Nail Service. And, drop a “Get near me!” sign on your fingertips while wearing the prettiest nails today. Marching down the aisle with the longest gown and most beautiful hair deserves a complete set of nail designs for the bride. Inside the Paris’ inspired salon, find a team of nail artists who work like magic on your nails. Bonsoir Nails uses only top brands and organically inspired ingredients for crafting modern nail arts. An ideal choice for brides, this wonderful nail spa welcomes it doors to guests who desires super cool and fun stuff just for their nails. From manicure, pedicure, full set of acrylic nails, full set of gel nails and fills receive beauty and dream nails at galore only in Bonsoir Nails. Health and beauty is what is seen at CHI Nail Bar and Organic Spa. 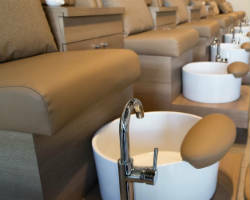 The no.1 organic nail salon in California, services are cheap and affordable for birthdays, school parties and weddings. CHI Nail Bar and Organic Spa takes the top spot on the classiest and oriental nail designs of the city. The team of nail experts aims to provide salon services that is something new fangled and very original. You can even match them to any theme you prefer for parties like European, old rustic and garden inspired. CHI Nail Bar and Organic Spa bears high end nail couture for this year’s bride. Queen Bee Salon & Spa is a world class nail spa if you want to look like a star on your wedding day. Offers and packages come in affordable variations of massage, pedicure, manicure, scalp treatment, shampoo or facial. Find a rare opportunity in a Los Angeles nail salon. Queen Bee Salon & Spa is a hot bridal getaway for the most vibrant, glimmering and new nail colors, today. Customer service is excellent with enthusiastic and genuine class from a team of experts. Experience stylish nails at your fingertips. 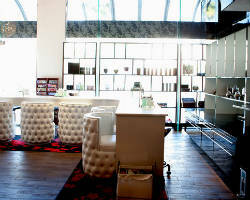 Founded by Nana and Maston Kuch, get a groom’s nail makeover at Mr. Nail Lounge. Hip and fresh, their services arrived on unique and elegant nail designs just for men. Your entourage will surely love! If you dare to be bolder on your wedding day, Mr. Nail Lounge has the perfect set of nail additions. 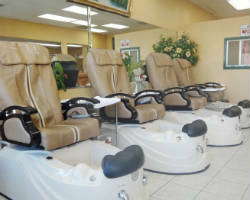 As reviews has highly praised, Mr. Nail Lounge services are friendly to the pocket. Visit them right away and take on a different adventure on just nails, today. With Jessica Jekkel as founder, ASSEMBLY SALON is LA’s first braid and ponytail bar. Beauty and nail galore belongs at this very creative store. The team sees to it that every guest to walk inside leaves happy and adds a smile wearing the best nails around. The place exudes from serenity, relaxation and comfort as a perfect destination for couples. They also have a very nice selection of nail designs to avail for low low prices across nail salons in Los Angeles, CA. 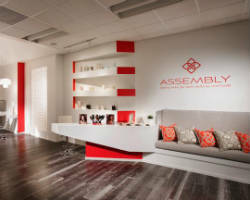 Have a super blast at ASSEMBLY SALON and enjoy a great day with magical set of nails. A family owned salon for 16+ years now, Pico Nails lets you take a dive on a colorful afternoon for your nails. At the store, you can get a total bridal look using the most modern facilities and more variations to beautify your nails. Every piece of beads, stickers and nail color added to your nails show the best creations present today. Not only does the most talented team can fulfill this, but these inspiring designs are made affordable and cheap for you to enjoy. Wear the perfect set of nails on the big day.